In the Renaissance a number of achievements were made in astronomy. New theories about the solar system were discovered; e.g., moons of planets, new stars etc. A lot of the ancient Greek astronomy was lost. The Greeks said that the earth was the centre of the universe which was wrong. Copernicus said that the sun is the symbol of God and God should be in the middle so he saw the sun is the centre. Most people said that he was wrong. Through Galileo’s invention of the telescope more discoveries were made and he had evidence that Copernicus was correct. Copernicus’ work would be proven because of Newton’s work. In 1514 a Polish astronomer Nicolaus Copernicus wrote his criticisms of Ptolemaic astronomy in a manuscript. He offered an alternative planetary model which was called later heliocentric theory. In this model the Sun was the center of the universe. The Earth and the rest of the planets were moving in a circular motion around the Sun. 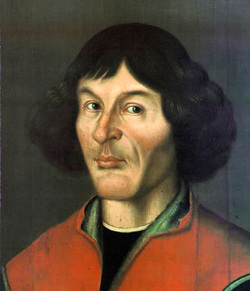 Decades after refining of his theory Nicolaus Copernicus was persuaded to publish his theory. It appeared two months before his death. In the previous planetary model geocentric theory the Earth is the center of the universe. This model was discovered in the time of the Ancient Greeks. This is where he lived. Another astronomer who found that the state of astronomy in sixteenth century isn’t correct was Tycho Brahe. 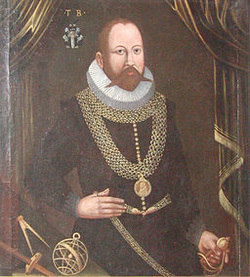 Tycho took early interest in astronomy. outside the region of the planets. By Tycho, Kepler, his famous assistant was assigned to observe the movements of the planet Mars. Tcho died in 1601. After his death Kepler could use Tycho’s observational recordings with the heliocentric theory of Copernicus and William Gilbert’s theory of magnets to create a new model of planetary orbits. He worked out that planetary orbits were more elliptical than circular. 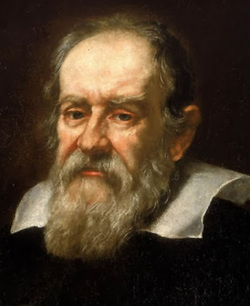 Galileo was an astronomer from Italy who lived from 1564 to 1642. Galileo made a telescope that was 3x magnification. Later he was able to make a telescope that was 30x magnification. With the new telescope he observed Jupiter. He saw that there were three stars very close to Jupiter and they were all in a straight line. Galileo watched it for days and he saw that the stars were gone and that they were behind Jupiter. Then he noticed that they were orbiting Jupiter. Therefore, he was the first to see Jupiter’s moons. Galileo Galilei believed that Copernicus was right that the sun was in the centre of the solar system. He started writing a book about astronomy and science. He wrote four book called The Assayer, Dialogue Concerning the Two Chief world Systems, Sidereus Nuncius, and Two New Sciences. Galileo’s book got him into trouble with the church which believed that the earth was the center of the universe. He was put in house arrest, and was not allowed to write more books. Galileo did not care if he was not allowed to write more book and he wrote his best work called Two New Sciences.